The Laura Ruth Murray Klein papers were accessioned as a gift to the University in 2011. The papers have been divided into five series and arranged alphabetically or chronologically where appropriate. Graduating in 1931, Klein would later be honored as a charter alumna member of Phi Beta Kappa in 1934. This is when the national honorary society’s Penn chapter established a women’s section. Klein was the recipient of a University Scholarship in English to the University of Pennsylvania Graduate School of Arts and Sciences, from which she received her master’s degree in English in 1933. She completed her Ph.D. in English ten years later, when it was still rare for women to enter Penn’s Ph.D. program. 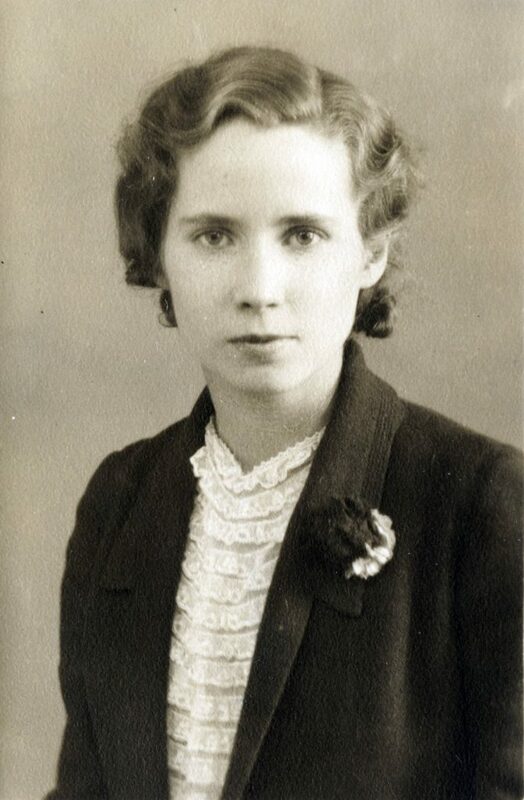 Laura Ruth “Patsy” Murray was married to Randolph S. Klein, a graduate of the Wharton School, Class of 1929, and a Philadelphia attorney, in 1934. Their son, Randolph, Jr. (C’ 63), was born in 1942 while Klein was earning her Ph.D., and their daughter Linda was born in 1945. Randolph, Sr., passed away in 1954 at the age of 47. Klein was a dedicated alumna of the University of Pennsylvania throughout her life. She served as National President of the Association of Alumnae and Vice President of the General Alumni Association in addition to President of the Philadelphia branch of the American Association of University Women. Further, Klein served as Honorary President of the Class of 1931 for many years and also maintained her commitment to Phi Beta Kappa as President of the Delta Chapter and the Women’s Association. 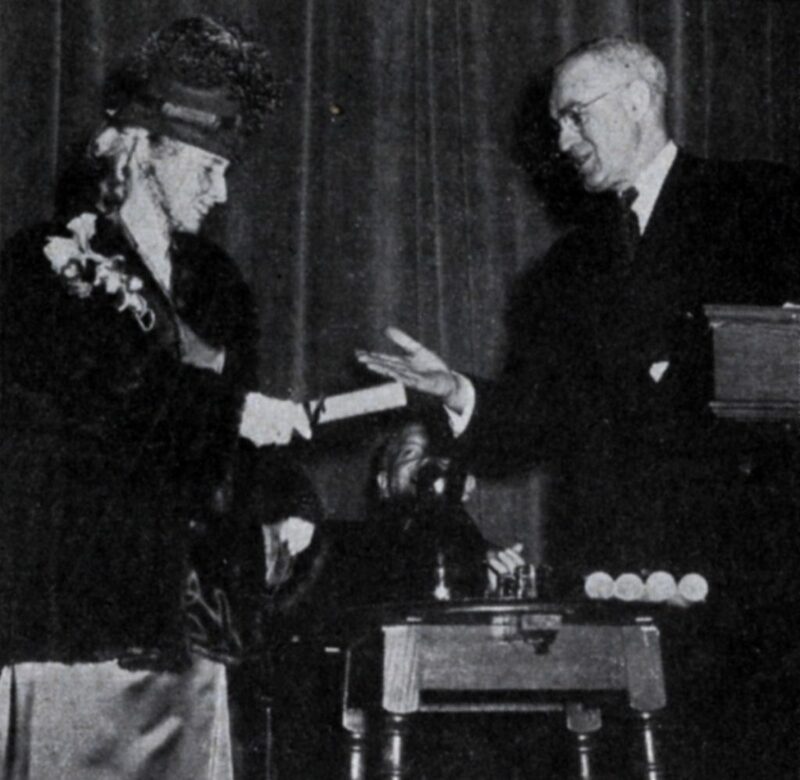 In 1949, in recognition of her distinguished service to the University of Pennsylvania, Klein was the first woman to receive the University’s Alumni Award of Merit. The Laura Ruth Murray Klein Papers document just a few of the organizations and activities that this multi-faceted woman engaged in over her lifetime. The bulk of the material comes from Klein’s participation with the national honor society Phi Beta Kappa. 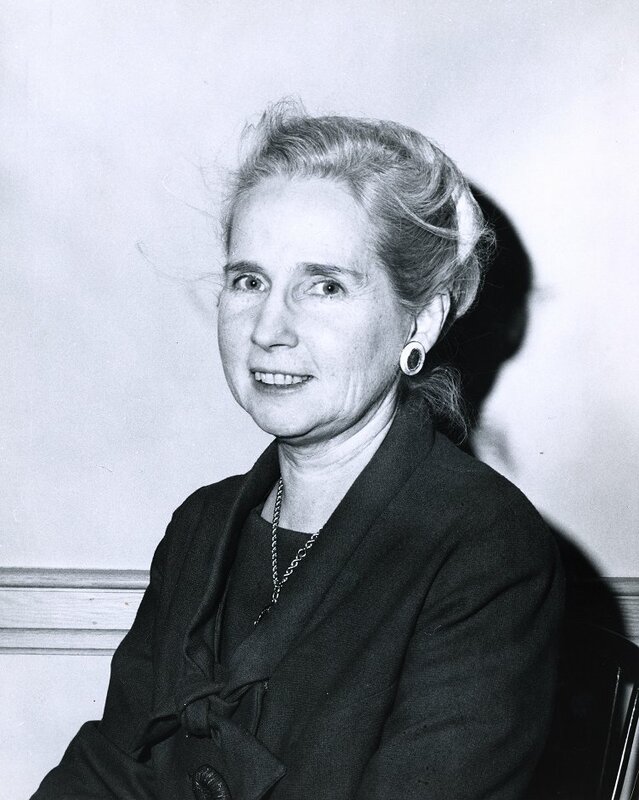 Initially honored as one of the first women members of the society’s Penn chapter, Klein and other college-educated women from Philadelphia and the surrounding area established the all-female Gamma Association of Phi Beta Kappa in 1940. The records in this series of the collection detail the pivotal role that Klein played in the Gamma Association. She served terms as president, vice-president, secretary-treasurer, and secretary over the course of more than fifty years. Many of the records included within the papers come as a result of her time spent in these positions. In addition, Klein spent many years as chair of the organizing committee of the association’s bi-annual dinner meetings, sometimes even opening up her own home as the designated meeting place. The papers also detail Gamma Association’s annual Book Award. Every year the members of Gamma Association chose college-bound young women from each high school in Philadelphia, and many suburban schools as well, to honor upon their high school graduation with the gift of a specially selected book thought to assist them in their future academic endeavors. Hundreds of young women received this honor over the years. Phi Beta Kappa Gamma Association and the all-male Phi Beta Kappa Association of Philadelphia occasionally held joint dinner meetings in the 1960s and 1970s but remained two distinct groups. By the late 1970s the two groups were discussing the idea of uniting and becoming a single, co-ed association. In 1986 the two groups officially became one under the name Phi Beta Kappa Association of the Delaware Valley. The papers record the process of the unification of the two associations and chart some of the activities of the Association of the Delaware Valley, though not in as much detail as with the Gamma Association. The United Chapters of Phi Beta Kappa, the national governing body of the honor society, is also represented within the papers. The papers record the triennial meetings of the United Chapters, at which Klein served as the official Pennsylvania delegate in 1976, and includes many issues of the official United Chapters’ newsletter, The Key Reporter, covering the years 1946-1988. The University of Pennsylvania Class of 1931 series documents Klein’s involvement as a Penn alumnus. These records date mostly from the 1980s and the bulk pertain to the organization of bi-annual meetings and an annual holiday luncheon, events that Klein often served as one of the main organizers. Klein was also a member of Delta Kappa Gamma, a professional honor society of female educators. The group that comprised women residing in Pennsylvania and of which Klein was a member of was called the Alpha Alpha State. These records date from the early to mid 1960s and contain information on Alpha Alpha State members, announcements and notices to members from both Alpha Alpha State and the Delta Kappa Gamma national headquarters, and papers from Klein’s term as president of Alpha Alpha State from 1962-1964. Small pieces of information exist for other organizations and activities Klein was a part of, and these documents have been grouped in the series titled Other Associations, Awards, Correspondence, and Events. Probably the most prominent, and for which the most documentation exists for in this series, are the documents pertaining to Klein being named by Governor Thornburgh as a Distinguished Daughter of Pennsylvania in 1983. Finally, the Miscellaneous series is comprised of all the material that did not fit into the previous series. Most of this are cards which seem to have come from a rolodex or address book. There are also name-tags which were used at a Phi Beta Kappa event, and two pieces of memorabilia, a pin and a sash that are from the Old Guard Presidents Meetings in 1991 or 1992. “Can You Tell us About Pennsylvania Women?” VHS Tape n.d.
“Remembering Dear Old Penn” Lyrics n.d.
State Convention Name Badge n.d.